Dow Jones Today, Aug. 21, 2014: U.S. stocks rose on positive data Thursday to kick off the third quarter. American home resales hit a 10-month high last month, while jobless claims slipped again last week by another 14,000 to 298,000. The S&P 500 Index struck its 28th record high this year, ticking closer to the 2,000 level. With members of the U.S. Federal Reserve and notable economists meeting in Jackson Hole, Wyo., investors await new insight into when the central bank might raise interest rates and plans to sustain growth in the U.S. economy. Miners, which saw prices fall over concerns about commodity demand in China, were the biggest drag on the markets today. Spin-Off Rumors: Rumors of a possible spin-off of PayPal sent shares of eBay Inc. (Nasdaq: EBAY) up nearly 5% on the day. 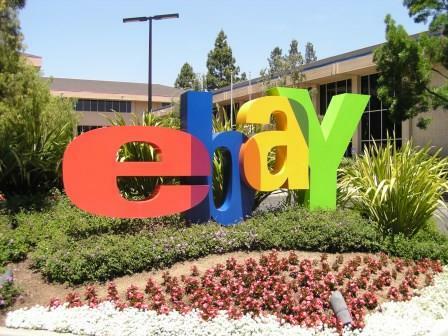 According to a report by tech site The Information, eBay's leaders have been telling candidates for the position of chief executive officer at PayPal that the company could spin off the online payment firm as soon as early next year. The news broke after the company began interviewing candidates to replace former PayPal executive David Marcus, who left the company in June to join Facebook Inc. (Nasdaq: FB). Partner Up: Shares of AstraZeneca Plc. (NYSE ADR: AZN) jumped 3% on the day after it announced plans to partner with Illumina Inc. (Nasdaq: ILMN) to develop a cancer-test sequencing system. The system helps companies select patients for trials and will require regulatory approval. The announcement comes on the same day that new rumors emerged that Pfizer Inc. (NYSE: PFE) may attempt another takeover bid for AstraZeneca. Disruptive Pricing: One week after the company promised to introduce disruptive pricing to the mobile industry, Sprint Corp. (NYSE: S) announced a cell plan that offers subscribers unlimited monthly data for $60 a month. The plan represents the cheapest unlimited data plan in the industry, as Sprint is attempting to recapture an eroding subscriber base. Recently, the company withdrew an offer for T-Mobile U.S. Inc. (NYSE: TMUS), which is now the target of Sprint's aggressive price reductions. Shares of Sprint were up more than 1% on the day. Shares of T-Mobile slipped more than 1.7%. Rejected: Shares of Family Dollar Stores Inc. (NYSE: FDO) slipped marginally on news it has rejected an $8.95 billion offer from Dollar General Corp. (NYSE: DG). Family Dollar raised concerns about antitrust laws and committed to its purchase offer from Dollar Tree Inc. (Nasdaq: DLTR). Up in the Air: The seats might be getting smaller and more uncomfortable, but airlines saw their profits soar in the first half of 2014. According to industry trade group Airlines for America, passenger airlines said their net profit margins more than doubled, while revenue outpaced costs by nearly three times. Airlines have boosted profits on additional fees like baggage and cancellations, while slashing costs via reduced perks and smaller seats. In 2013 alone, U.S. airline companies made $6.16 billion in add-on fees.